What started as a simple idea to create an interactive children’s book has since turned into a lifestyle. While the rest of the world is sound asleep, we’re cranking away working on print layouts, ebook layouts and prepping our materials for Kindle and iBooks, merchandising, writing, prepping blogs, strategizing our next moves to for the tour and demo of Outsmarting Manet, and a heapload of other things. For the past year and a half, this has been our life, and we wouldn’t have it any other way. So far its been a roller coaster ride with many more ups than downs, but a growing experience nonetheless. This project has opened up many doors of opportunity to be able to work with some of Guam’s most talented; many of whom we would have never met if it wasn’t for the creative draw and inspiration to find ways to preserve the Chamorro culture. And to think this is only a part of the overall project with the book as the anchor and the key component of the overall project. Like the start of many ideas, we took some time to research the different types of cultural children’s books out there. We paid close attention to what mediums they were available in, and read a dozen Chamorro cultural legends and stories to our kids. In our journey to finding that perfect cultural book, we noticed something. Some of the greatest Chamorro stories we read were mostly in text with few images in black and white. Our kids, with their short attention spans and the absolute need to jump on their iPads, would lose interest easily. We’d force them to sit through until we reached the end of the story. Then we noticed, only some stories were translated in Chamorro. When we asked the boys questions about the story, they couldn’t remember. Of the parts they did remember, were the parts of the story that had pictures. Studies show that 83% of humans learn through visuals. Not to mention the more senses you engage (i.e., visual, auditory, touch, etc), the more apt the information is to being lodged into your memory. So after years of searching, we decided to create something that would not only help other families learn more about the culture, but have fun making discoveries together. 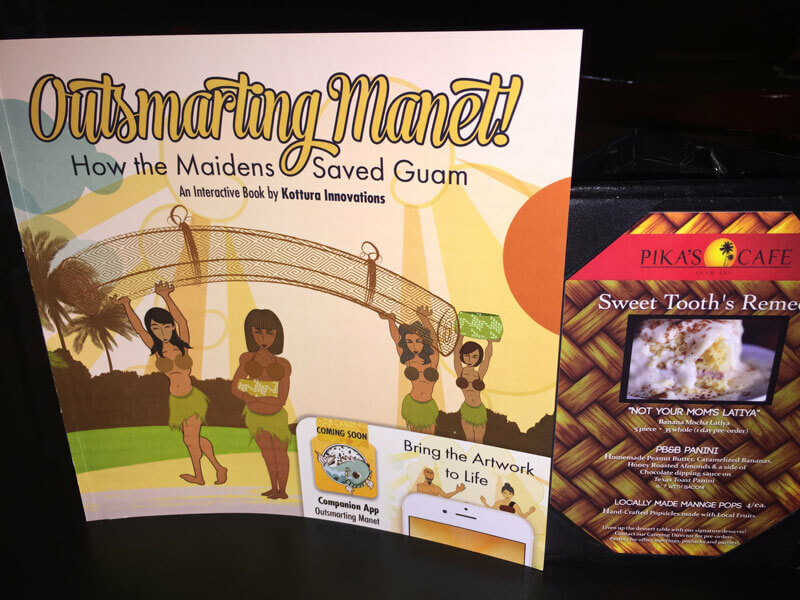 While initially we may not have fully understood the journey we were about to go on, we took a risk and decided to go full force to make every effort to publish our first kid’s book, Outsmarting Manet: How the Maidens Saved Guam. On the surface, children’s books may look easy to make. But after hanging in there for this long, we have a much deeper respect for fellow children’s book writers. People don’t tell you just how hard it is to write in simple language. What should come first, the story or the illustrations or both? What type of art style would be best for the book? At what point do you bring in an illustrator? How in depth does your storyboard have to be? And you’ll find while you’re in the thick of wrapping up your story, things may change when you see the illustrations. Sometimes, the illustrations elicit a change in the story. Either way, you’ll want to make every effort to make sure what you’re telling in the story is easily understood in your pictures. Outsmarting Manet offers a few unique experiences: (1) the print and ebook versions have English and Chamorro translations side by side in one book; (2) the print book comes with an interactive companion app – with the app, illustrations within the book come to life; (3) the interactive companion app when used with book, will narrate the story in either language – hearing the spoken words help with pronunciations, reading and comprehension; (4) the animations for scenes can be changed any time giving you a different experience every time it’s changed; (5) original music and ambient sounds are also embedded in each scene; (6) an audiobook for those family road trips so you could continue your storytelling experience on the go. Our main goal was to create a product using multiple mediums to enhance your experience. 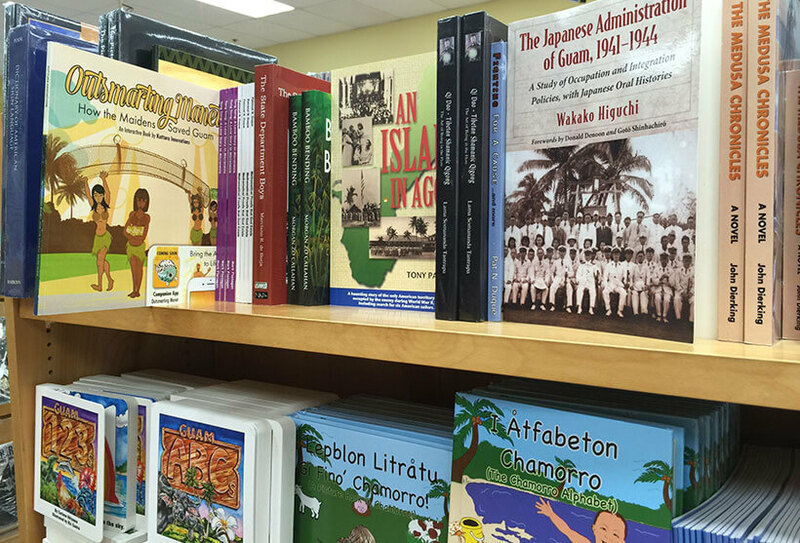 Our approach is to create different types of materials available to support various levels of learning and reading that gives parents options to help them nurture the Chamorro language and cultural learning experience. Outsmarting Manet is our first attempt to providing a next level dimension to enhancing those skills. Some may think we might have been a little too ambitious to develop a product of this type, but we understand how precious your time is with your family. As parents in our ever busy lives, we are selective of how we choose to spend time with our kids. Many of us may not have the luxury to spend the entire weekend with our kids, but when we do we want those experiences to be meaningful and memorable. This book helps to bring families together to learn something fun. It offers you multiple types of experiences that go beyond reading a book all rolled into one. It’s a conversational piece. You might have a favorite character, a favorite scene or a favorite animation that will make you want to replay everything all over again. And the beauty of it is having the ability to take it wherever you go. and watch the artwork come to life. 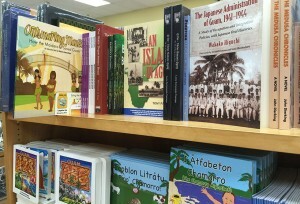 We have a few books currently for sale at both Bestseller locations at Guam Premiere Outlets (GPO) and the Micronesia Mall. If you’re in a hurry, feel free to ask a sales associate at the counter and they’ll be more than happy to help you get your hands on your own copy. Overall this is and always will be a labor of love. We value the longevity of our culture, the language, our traditions and values, and our people. We recognize our responsibility in staying true to our roots by using our skills and talents to produce valuable resources to be available for generations to come. And we’re humbled to know we’re doing a small part to help spread the uniqueness of the Chamorro culture. We hope you all enjoy the books and the interactive app is soon to come. Stay tuned for more exciting news; we’ve only just begun.